The Israeli military court of Salem on Thursday extended the detention of Palestinian journalist Mohamed Manna, a Quds Press reporter, for seven days. 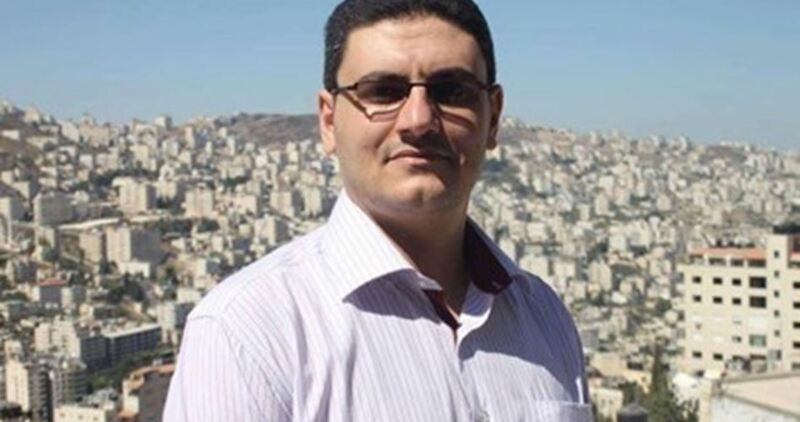 The journalist’s brother, Abdul-Kareem, told Quds Press that the court extended the detention of Manna in order to subject him to further interrogation. He added that his brother could be transferred to Megiddo prison in the 1948 occupied lands. 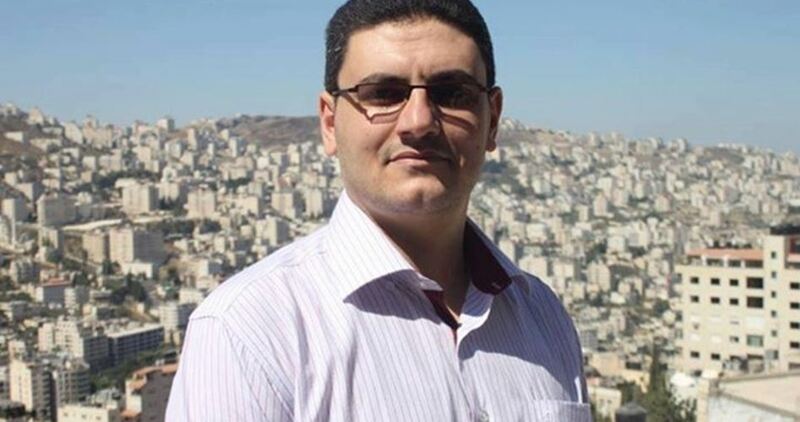 Journalist Manna was kidnapped two days ago from his home in Zawata town in Nablus. Violent confrontations erupted as hundreds of Israeli settlers stormed, on Wednesday night, the northern West Bank city of Nablus, guarded by the Israeli forces and for the purpose of performing Talmudic rituals. Eyewitnesses reported that Israeli forces, accompanied by a bulldozer, stormed Beit Furik checkpoint, to the east of Nablus. Dozens of Israeli soldiers then stormed the Dahiya neighborhood, near Joseph’s tomb, coming from the military point on Mount Gerizim. Confrontations centered in Dahiya, Jerusalem Street, Amman Street and Al-Hesba Street, in the vicinity of the tomb, where Israeli soldiers fired sound bombs and tear gas. 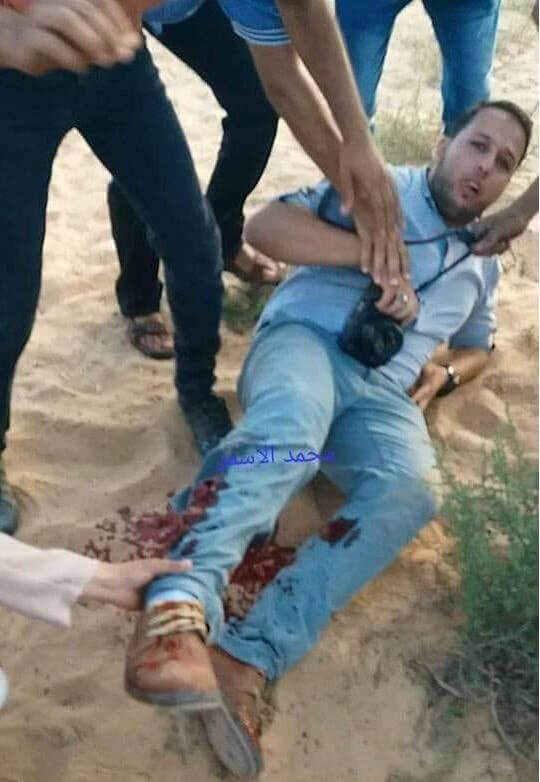 During the confrontations, journalist Mu’tasim Suqef al-Hitt, a reporter for Quds News Network, was wounded with two metal bullets in his feet while covering the events. He received treatment on the ground, and was then transferred to hospital. sraeli occupation authorities on Thursday extended the remand of four Palestinian journalists who were recently arrested by the Israeli forces in the West Bank. According to the Palestinian Prisoner’s Society (PPS), Israel’s Ofer military court extended the detention of hunger striker Alaa Rimawi, Mohammad Alwan, Qutaiba Hamdan and Husni Injas by seven days for further interrogation. The four journalists were arrested by the occupation forces on July 30. Meanwhile, prisoner Nizar Shahada, 50, underwent cardiac catheterization at the Israeli Barzilai Hospital after his health status took a turn for the worse at the Ashkelon detention center. The detainee is expected to be returned to Ashkelon jail sometime later. Shahada was re-arrested by the Israeli military on July 24, 2018. Four Palestinian journalists, among them hunger striker Alaa al-Rimawi, are expected to appear before Israel’s military court on Thursday. 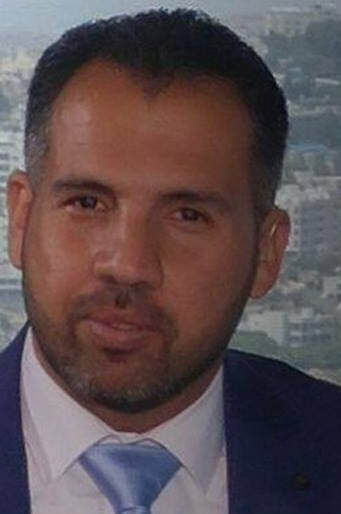 The head of AlQuds TV channel, Alaa al-Rimawi, along with journalists Mohammed Ulwan, Quteibah Hamdan, and Husni Injas, will appear in court after they were arrested by the Israeli occupation forces on July 30. Rimawi has been on an open-ended hunger strike from the first day of his arrest to protest his arbitrary detention in Israeli custody. At daybreak Wednesday, another journalist—Mohamed Anwar Mona—was arrested by the Israeli military, bringing the number of Palestinian journalists detained over the past few days to at least five. Palestinian journalist Alaa Rimawi started an open-ended hunger strike from the day he was detained by the Israeli occupation forces in protest at his arbitrary detention. Munther Abu Ahmad, an attorney with the Palestinian Prisoner Society (PPS), said on Wednesday that Rimawi, 40, is undergoing interrogation at Ofer military camp near Ramallah and is expected to appear in a military court on Thursday. Israeli soldiers detained Rimawi on Monday, along with three other journalists—Mohamed Ulwan, Quteibah Hamdan, and Husni Injas—and accused them of working for anti-occupation TV channels. The Palestinian Prisoners’ Society (PPS) has reported that Israeli soldiers abducted, on Wednesday at dawn, three Palestinians, including one journalist, in Nablus and Ramallah, and injured several others in Hebron. The PPS said dozens of soldiers invaded Beit Rima town, northwest of Ramallah in central West Bank, and abducted Adham Sobhi Rimawi, 22. It added that the soldiers abducted a young man after undercover officers infiltrated into the town driving a truck used for selling fruits and vegetables, before breaking into his home. It is worth mentioning that Adham’s brother, Sami, is held by Israel without charges or trial after receiving four consecutive arbitrary Administrative Detention orders. 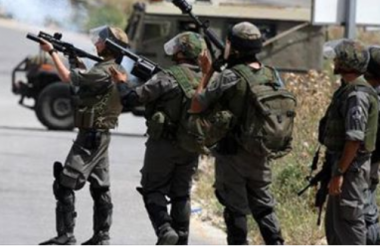 In addition, the soldiers invaded Zawata village, west of the northern West Bank city of Nablus, and abducted a journalist working for a local radio station, identified as Mohammad Anwar Mona, after storming his home and searching it. His abduction brings the number of Palestinian journalists imprisoned by Israel, to 30, the Palestinian Detainees’ Committee has confirmed. 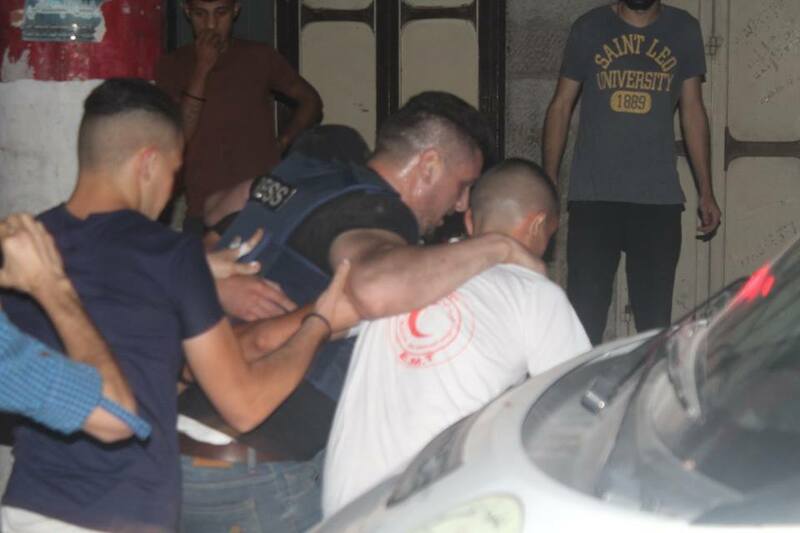 The soldiers also invaded Beit Iba town, northwest of Nablus, and abducted a young man, identified as Anwar Taleb Sanallah, after invading his home and violently searching it. 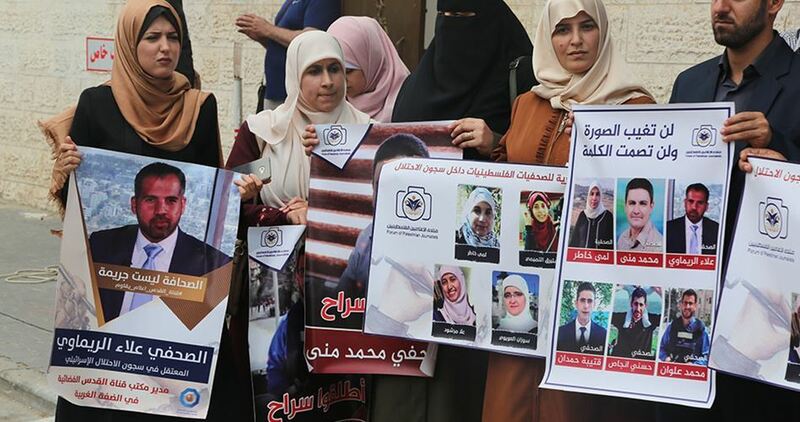 Palestinian Information Ministry condemned the Israeli arresting of four journalists at dawn in Ramallah, announcing that it has brought the number of Palestinian imprisoned journalists in Israeli jails to 32 including 5 women. 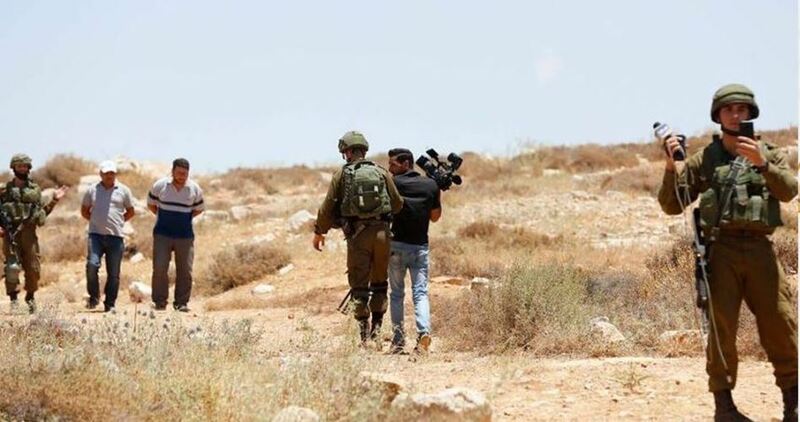 In a statement on Monday, the Ministry stated that detaining journalists Alaa al-Rimawi, Mohamed Ulwan, Quteibah Hamdan, and Husni Najas forms a good example for Israeli policy of silencing Palestinian pressmen in order to cover up for the Israeli crimes against Palestinians. The Ministry asked the International Federation of Journalists and Reporters without Borders as well as all competent authorities to take urgent actions to release the imprisoned journalists. The Ministry also appealed to President of the UN Security Council and Swedish delegate Olof Skog to implement Resolution 2222 which stipulates the protection of journalists. 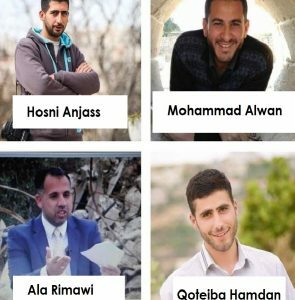 After Monday’s Israeli army’s abduction of four Palestinians journalists in Ramallah, in central West Bank, the Palestinian Information Ministry issued a statement denouncing the dangerously escalating Israeli violations against Palestinian journalists and media outlets, calling on the International Community to intervene in ending these attacks, and ensuring Israel’s compliance with international laws. In its Monday statement, the Information Ministry said the abduction of the head of Al-Aqsa TV, Ala Rimawi, its correspondent Mohammad Alwan, cameraman Hosni Anjass and journalist Qoteiba Hamdan, and the illegal confiscation of two media cars, and equipment, is part of Israel’s campaign against the journalists, in an attempt to terrorize them and prevent them from exposing its crimes against the Palestinian people. It called on the International Federation of Journalists, Reporters Without Borders, the international community, and all organizations working for human rights and the freedom of the press, to intervene, and help in ending the escalating Israeli crimes, and violations against Palestinian journalists and media outlets. The Ministry called on the United Nations Security Council, and its current president, Permanent Representative of Sweden to the United Nations Olof Skoog, to ensure the implementation of Resolution #2222 regarding the protection of journalists. It added that the Security Council must not only protect the journalist and media agencies, but also punish those who commit violations against them, especially since Israel has legislated several “laws” that prevent the journalists from filming Israeli soldiers during invasions into Palestinian communities, and other “laws” protecting the soldiers who assault journalists, in addition to the so-called “Facebook Bill”. It stated that the abduction of the four journalists, and obstructing the work of journalists awaiting the release of Ahed Tamimi and her mother, Sunday, in addition to targeting Palestine TV cameraman in Kufur Qaddoum, Friday, and the deliberate targeting of journalist and reports across occupied Palestine, including the killing Yasser Mortaja and Ahmad Abu Hussein, in Gaza, this past April, are part of constant Israeli crimes that require the immediate international intervention and effective action to stop them, and hold the violators accountable. Scores of Palestinians were kidnapped by the Israeli occupation forces at daybreak Monday in abduction sweeps rocking the West Bank. The list of arrestees included four journalists: Alaa al-Rimawi, Mohamed Ulwan, Quteibah Hamdan, and Husni Najas. They were all kidnapped by the IOF from Ramallah province. A PIC news correspondent said Israeli soldiers seized the car of journalist Husni Najas and the journalists’ equipment. Eight ex-prisoners were also kidnapped by the occupation forces from Qalqilya and two from Bethlehem. 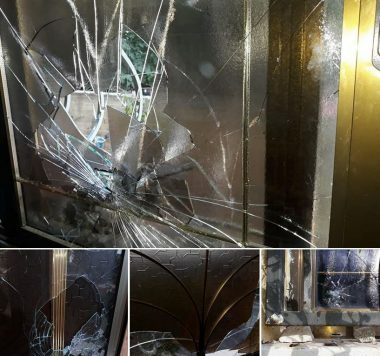 At the same time, Israeli patrols wreaked havoc on the home of Nidaa Dweik, the daughter of the speaker of the Palestinian Legislative Council Aziz Dweik. The IOF further ravaged the homes of ex-prisoners Mohamed al-Qawasmi and Bilal al-Natsha, before they handed them over interrogation writs. Palestinian medical sources have confirmed that Israeli soldiers killed, Friday, a fourth Palestinian, in the Gaza Strip, after it killed three others earlier. 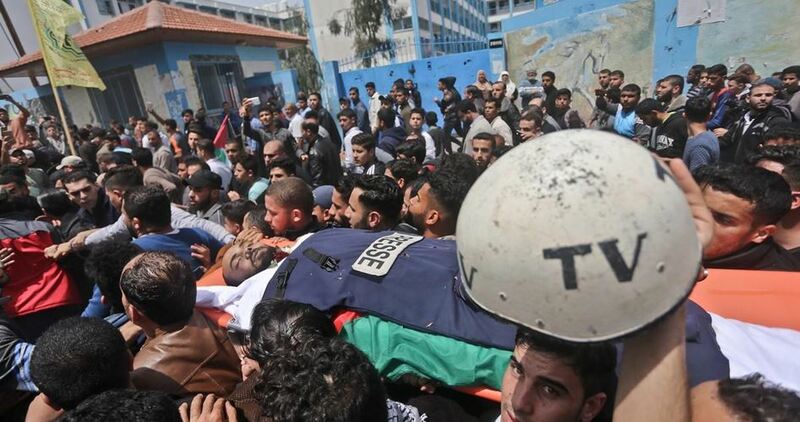 The Health Ministry stated that an Israeli army sharpshooter shot Mohammad Sharif Badwan, 27, with a live round in the chest, east of Gaza City. Badwan is a member of the al-Qassam Brigades, the armed wing of Hamas; he was killed while unarmed and participating in the Great Return March procession, east of Gaza city, when the soldiers attacked the protesters with live fire, rubber-coated steel bullets, high-velocity gas bombs and concussion grenades. Dr. Ashraf al-Qedra, spokesperson of the Health Ministry in Gaza, said the soldiers also injured 120 Palestinians, including 50 who were rushed to hospitals in the coastal region. One of the wounded Palestinians in a journalist, identified as Zaki Awadallah, who was shot by the army east of Gaza city. The Al-Qassam Brigades issued a statement mourning Sha’ban Rajab Abu Khater, and Mohammad Riyad Abu Farhana, from Khan Younis, in addition to Mahmoud Khalil Qishta, from Rafah. It said that the fighters were killed when the army fired missiles at observation posts in Rafah and Khan Younis, and vowed fierce retaliation to the serious Israel escalation.